Gosh my birthday month has just flown by. 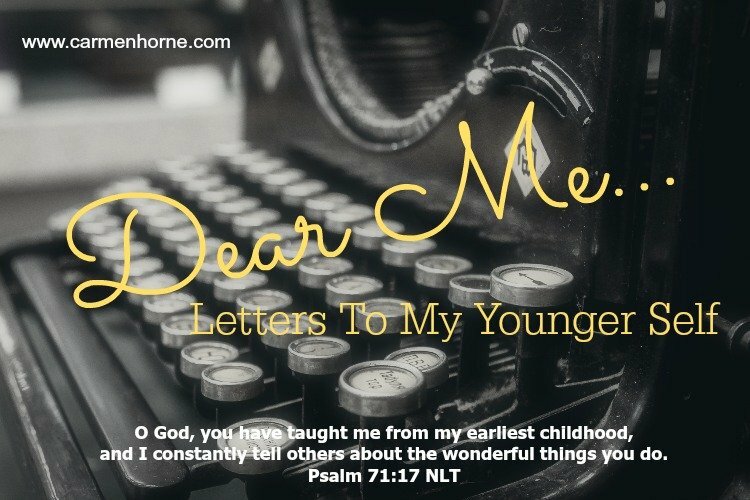 Malloree’s letter will be the last in our Dear Me Series. I first met Malloree as our youth pastor’s daughter several years ago. Her family moved away from us but our love for her and her family remains deep in our hearts. As I was thinking about who would represent Generation Z, I had several young ladies in mind. Malloree and her mom visited our church one Sunday recently and as she walked into the room, I knew…the Holy Spirit prompted my spirit that she was the one to speak. I hope you feel the love and care Malloree gives her younger self as she writes. Such wisdom in this young soul. We have one more giveaway this month. Our winners will now smell pretty and have pretty toes. The giveaway this week will help you reduce stress and indulge that inner child. Most girls I know love coloring books. Well, it’s not just for kids anymore. 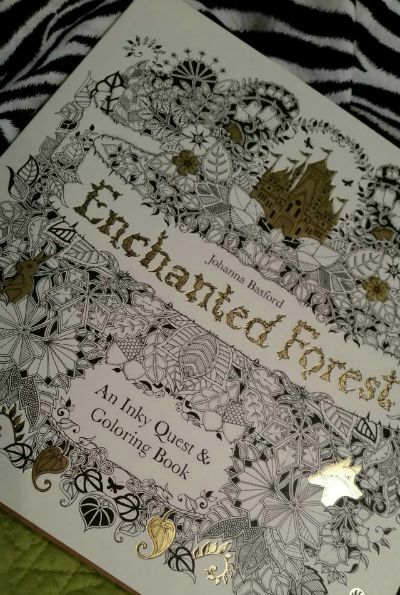 This beautiful coloring book for big kids will make you smile and slow you down. They are becoming so sought after, when I ordered this one, it was on back order. I should have ordered myself one as well. Just as in all the giveaways, it will run for two weeks. Come back often and get this pretty thing for yourself. For the most part, you’re very smart. You have a lot of God-given wisdom that some don’t. You know right from wrong, and you stand firm in what you believe. One thing you do lack though, is experience. Most of your life has gone as planned, you’ve been content, happy even. You love to share your smile, joy, and love to give advice. You know that some people have it pretty bad at home, but you have no idea what that means or what it’s like to live that life. You don’t know what you would do if disaster struck. I mean, you have a pretty good idea, but you’ve never been in that kind of situation. You’ve never been heartbroken. You’ve never really been under the pressure of a horrible circumstance. It seems crazy, absurd even, that anyone, especially people you know and care so much about, would ever think about taking their lives over just a momentary crisis. Can life really get that bad? So depressing that you just can’t take it anymore? You just don’t get it. But, you’ll find out sooner than later why people feel that way. Malloree, you’ll feel like you’re lost with no meaning and no purpose. It will seem like all hope is lost. You’ll learn that even through that difficult time, sticking close to God and his heart is the most important thing for you to do. If you don’t seek his vision for your life, you may end up like the kids who see no other way out other than ending their own life. This is serious. Stay connected to your God and he will draw close to you and help you in your toughest times. It is almost impossible to do it without him. You try your best to help people out, cheer them up, and you can’t stand it when someone doesn’t like you. You’re a people pleaser. That’s not always a bad thing. People admire your compassionate personality and commitment to God. I want you to realize this is good, you’re doing something right. One thing you’ll learn is that not everyone will always like you and that’s okay. You’re not doing anything wrong, it just happens. You are confident in who you are, and that’s all that matters. Malloree, your happiness is more important than pleasing people that don’t care about you. All of these characteristics make up you – who you are, where you’re going. Don’t change that for anyone. The most important things in life are undying love for God, love for family, and love for people. Be loyal. Be authentic. Only when you find your hope and joy in Jesus can you fully enjoy your relationships with other people. It’s good to be happy, don’t get me wrong. But every once in a while, it’s good to check the source of your happiness. Do you find your joy in quality time spent with your heavenly father? Or is the main source of your happiness somewhere else? Be careful. Finding your happiness in the wrong things can lead to major disappointment. Let’s move on to friends. When it comes to other people, you’re very friendly and love to make new friendships. There’s not many people you don’t like. Be wise and watch out. Not everyone is as they seem. Pray to God for discernment and be sure to look for outstanding qualities in the friends that you do make. Good friendships make your journey that much sweeter. Above all, stay connected to God. As long as you do that, you’ll always have someone to do life with. In the good times, in the not-so-good times. He’ll always be there. You’ll regret things in life, and some of decisions you make, but you’ll never regret giving your life to Christ, who works out all things for your good. Malloree, with all that you’ve been through and all that you’ve overcome, you’re a better you. If you could go back and change things, there’s not much you’d do differently. God has a unique design for your life so long as you pursue him, stay in his word, and serve his people. Give your life, love, and dedication to him and watch as he does the impossible. 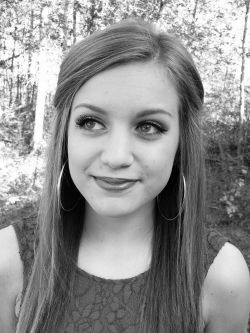 Malloree is a high school senior who loves God and has a passion for other people. She has been saved since she was a little girl and has always had a big heart. Her favorite hobbies include acting, cheering, painting, and writing. She will attend college in the fall with a major in secondary education to teach English. Malloree is a kind-spirited bubbly girl who loves to meet new people and share her testimony. She does not write publically…yet. God will surely use her pen to write for her generation. Thank you for visiting us Tiffany! That Malloree is a pretty special girl. Thank you, Malloree and Carmen. Malloree, I love how you stress we must stay connected to God and how impossible it is to do anything without Him. Amen! I stress it because it’s so important in my life! I want everyone to know they have a Saviour to cling on in times of joy, sadness, tragedy, and triumph like I do! I’m so glad you stopped by Trudy. Malloree definitely has a solid foundation. Blessings!